Peugeot 206 1.4 1.6 16V. PEUGEOT 206. 1.4 - 1.6 16V. Stainless Steel Manifold. This product will not only give you an outstanding looking manifold under your bonnet but also a substancial increase in horsepower. VW Golf MK3. VOLKSWAGEN GOLF MK3. TYPE 1H (GOLF MK3). 1.8 - 2.0 8V. Stainless Steel Manifold. This product will not only give you an outstanding looking manifold under your bonnet but also a substancial increase in horsepower. VW Polo 6N. VOLKSWAGEN POLO 6N. TYPE 6N (POLO). 1.0 - 1.6 8V. Stainless Steel Manifold. This product will not only give you an outstanding looking manifold under your bonnet but also a substancial increase in horsepower. MK1 Golf GTI Stainless steel exhaust manifold. Peugeot 206 1.4 1.6 8V. PEUGEOT 206. 1.4 - 1.6 8V. Stainless Steel Manifold. This product will not only give you an outstanding looking manifold under your bonnet but also a substancial increase in horsepower. MANIFOLD VW GOLF MK1 16V CONVERSION. VW GOLF MK1 16V. Includes hardware necessary for the installation. Dyno tested and proven to increase horsepower. Sports Stainless Steel Racing Header for the. Tieftech Racing Sports High Performance Stainless Steel Racing Header/Manifold. Outlet Back box 2x76mm (L/R). TA Technix Duplex catback L R 2x76mm flanged. Audi A3 type 8P without Sportback. T304 High grade stainless steel, 2 year warranty! inspection?. jobs, which are really not covered by any warranty, as mostly ?. VW GOLF MK1 CABRIO 1984>1999. STAINLESS STEEL CATBACK EXHAUST SYSTEM 1X70mm. Outlet Back box 1x70mm. VOLKSWAGEN GOLF MK1 CABRIO / SCIROCCO 1984 > 1999. inspection?. jobs, which are really not covered by any warranty, as mostly ?. 70x140mm DTM. Audi A3, type 8L / Seat Leon, type 1M. TA Technix sport rear muffler. inspection?. jobs, which are really not covered by any warranty, as mostly ?. As part needs to be fitted in compliance with safety procedures. VW GOLF MK1 CABRIO 1984>1999. STAINLESS STEEL CATBACK EXHAUST SYSTEM 1X90mm. Outlet Back box 1x90mm. VOLKSWAGEN GOLF MK1 CABRIO / SCIROCCO 1984 > 1999. inspection?. jobs, which are really not covered by any warranty, as mostly ?. 2 x 76 mm round/beaded with ABE -polished stainless steel-. VW Golf 4 Audi A3 - all models. Audi A3 (Typ 8L) -Year of construction: 1996-2003. VW Golf 4 (type 1J) -Year of construction: 1997-2003. Inklusive ABE. Opel Tigra 1,4 - 1,6 16V. Opel Corsa B 1,4 -1,6 16V. STAINLESS STEEL MANIFOLD FOR Hottuning Racing Sports High Performance Stainless Steel Racing Header/Manifold. Includes hardware necessary for the installation. A - BMW M1 M3 M5 M6 335i 650i bi turbo. In closed flap position the exhaust flow is led through the sound-absorbing area of the corresponding silencer and a discreet exhaust sound can be heard. At full throttle and open exhaust flap, you achieve a maximum sound experience. HOTTUNING STAINLESS STEEL MANIFOLDS, 10 WARRANTY !!! Volkswagen Golf 3 / Vento VR6. Volkswagen Passat 35i VR6. Volkswagen Corrado VR6. TA Technix exhaust manifold. You are looking on an Hottuning Racing Sports Stainless Steel Racing Header. inspection?. Polo 86c incl. 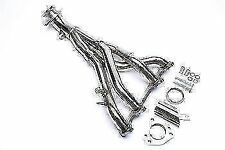 Racing Sports Stainless Steel Racing Header for VW POLO. TA Technix exhaust manifold. Sports Stainless Steel Racing Header f. Racing Sports High Performance Stainless Steel Racing Header/Manifold. TA Technix cast manifold exhaust / Turbo manifold T3 flange, BMW 6-cylinder M50 M52 engine. TA Technix Cast turbo manifold. Producers: TA Technix. Marke TA Technix. This cast Turbo manifold is used and this requires an existing suction engine BMW M50/M52 on Turbo mode to convert. Final version: 2x76DTM. Rear muffler Audi A4 B5, 94-01, 2x76DTM 44. Vehicle type: B5. Vehicle Model: A4. Zulassung mit ABE, eintragungsfrei verwendbar. Vehicle Manufacturer: AUDI. It was precisely and can holders are easily attached to the original. New Group A exhaust system for all Polo 5 type 9N on year 10/2001. Fahrzeugmarke VW polo 5. The plant is with TÜV (E-No) ! Manufacturer's TA Technix. Producers: TA Technix. Marke TA TECHNIX. TA Technix-stainless exhaust 2x76mm - Audi A3 8L Quattro S3 8L. Audi A3 8L 1 S3 quattro, 210 HP, year of build: 1999/03-2002/04. Audi A3 8L 1 S3 quattro, 224 HP, year of build: 2001/10-2003/05. 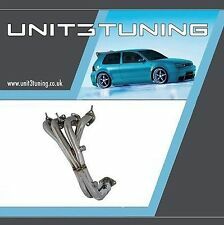 TA cast manifold / turbo-manifold T25 FLANSCH / wastegate AUDI / SEAT / SKODA / VW 1.8 T 20V. Simple Einbau.Langlebiges product (solid and robust design). Convincing price/performance ratio. for 1.8 T 20V engines Audi / Seat / Skoda / VW. Stainless steel muffler, sports muffler, muffler, UNIVERSAL 2x76mm. Through pipe with absorber. Material: highly polished stainless steel. - General purpose -. Instructions supplied. REACHED BY PHONE. TA Technix steel turbo-manifold flange T3 wastegate port 1.8 T Audi VW. Specifications: TA Technix steel turbo-manifold. Marke TA Technix. Simple Einbau.Langlebiges product (solid and robust design). Vehicle construction: Manufacturer: TA Technix. Marke TA Technix. Material: Stainless steel. Vehicle manufacturer: Honda. Vehicle model: S 2000. Accessories: Without screw without gasket, with cylinder head gasket. Audi A4 B5, year: 94-01. Zulassung mit ABE, eintragungsfrei verwendbar. Connection: group A 63,5 mm. Material pot: High Polish Stainless Steel. Material tailpipe: High Polish Stainless Steel. Adapter pieces: 4 pieces of adapter 63,5 mm to 43,46, 51 and 55mm. TA TECHNIX stainless steel SPORT exhaust system, 2x76mm SCHARF ABE - VW GOLF 5 GTI. TA Technix stainless steel system 2x76mm sharp. Producers: TA Technix. Marke TA Technix. Approval: incl ABE e1-0310528/e1-0310530. TA Technix steel turbo-manifold flange T3 BMW 3 Series 5 Series M20 engines. TA Technix steel turbo-manifold. Marke TA Technix. M20 B23 / B25 M20 / M20 B27 / M20 B25E. with T3 Flange. BMW 6-cylinder M20 engines - Turbo Conversions. TA TECHNIX T3 CAST TURBO-MANIFOLDS FOR 6-CYLINDER ENGINES M50 M52 BMW. TA Technix Cast turbo manifold. Producers: TA Technix. Marke TA Technix. This cast Turbo manifold is used and this requires an existing suction engine BMW M50/M52 on Turbo mode to convert. Stainless steel including ABE. Suitable for: BMW of 3-Series Sedan, type E46. BMW of 3-series Coupe, E46 type. Included in addition to the holders and adapters for mounting. A ABE is included. BMW of 3 series cabriolet, E46 type. BMW 3er Serie E46. nklusive ABE. mit ABE für den kompletten Auspuff. Oberflächenbeschaffenheit Neu. EAN 4250570600742. Baujahr ab 09.2000-. mit Rechnung. einfacher Austausch gegen den Serientopf. 2x76mm DTM. mit ABE für den kompletten Auspuff. BMW E46 Limousine,Coupe,Touring. nklusive ABE. Oberflächenbeschaffenheit Neu. EAN 4250570600650. Hinweis Auspuff mit 2 Eingangsrohren. Motor: 6 Zylinder. TA TECHNIX STAINLESS manifolds Opel Vectra A 2.0 16V X20XEV. Vehicle construction: Manufacturer: TA Technix. Marke TA Technix. Engine: 1,8 - 2,0 16V Ecotec. Engine: 2,0 16V Ecotec. Material: Stainless steel. 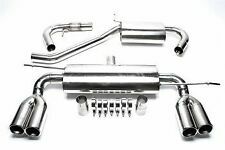 TA TECHNIX stainless steel exhaust system Gr. A from cat BMW E36 325i 328i 2x76DTM ABE. Producers: TA Technix. Marke TA Technix. Connection: group A 63,5 mm. Material pot: High Polish Stainless Steel. Honda Civic VTI. 1.6 VTi 160HP. STAINLESS STEEL MANIFOLD FOR TA Technix exhaust manifold. High performance racing headers are Dyno tested at low end and top speed to increase horsepower. Precision mandrel-bend to enhance exhaust gas flow. Opel Vectra A 1,8 - 2,0 8V. Oberflächenbeschaffenheit Edelstahl. EAN 4250570624809. Senkung des Benzinverbrauches. die Ware kann nach Absprache im. Neuware mit Rechnung. super passgenau. hochwertiger Edelstahl. Sport Exhaust BMW 3er E36 6-zyl. 320i 323i 0 3/32x2.99in ABE. Sport exhaust BMW 3 series E36 6-cyl. 320i 323i 2x76mm ABE. Vehicle type: E36. Engine: 6 cyl 320i 323i. Muffler, BMW 3 series E36, 91-98, 2x76mm 43. Stainless steel muffler, sports muffler, muffler, UNIVERSAL 70x140mm DTM. TA Technix stainless steel of rear universal 70x140mm DTM. Ausführung 70x140mm DTM. highly polished stainless steel. REACHED BY PHONE. Material: highly polished stainless steel. - General purpose -. A detailed illustrated PDF. REACHED BY PHONE. trained personnel. Producers: TA Technix. Marke TA Technix. 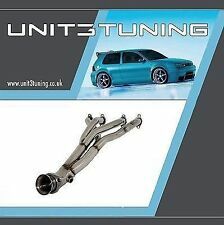 TA Technix-stainless exhaust 2x76mm, GTI-look - tailpipes Middle - VW Lupo. VW Lupo (6X / 6E). Stainless steel muffler, sports muffler, muffler, UNIVERSAL 102 mm sharp. Through pipe with absorber. Material: highly polished stainless steel. - General purpose -. A detailed illustrated PDF. REACHED BY PHONE. Sport exhaust BMW E36 320i 323i convertible 2x76mm sharp ABE. Vehicle type: E36. Engine: 6 cyl 320i 323i. Zulassung mit ABE, eintragungsfrei verwendbar. Vehicle Manufacturer: BMW. Final version: 2x76mm sharp. Type of vehicle: 86C. Vehicle Model: Polo. Connection: group A 63,5 mm. Material pot: High Polish Stainless Steel. Material tailpipe: High Polish Stainless Steel. Automotive body: coupe and hatchback.